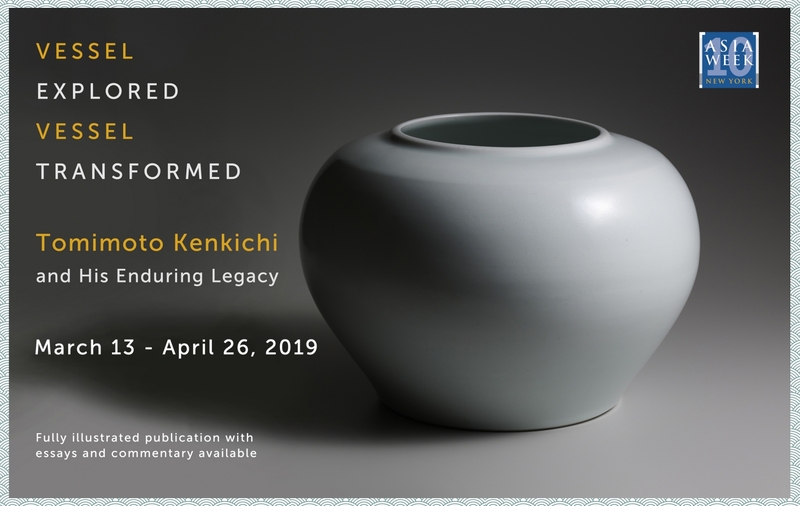 JOAN B MIRVISS LTD together with Japan's leading modern ceramic dealer, Shibuya Kurodatoen Co., LTD are honored to present "Vessel Explored / Vessel Transformed: Tomimoto Kenkichi and his Enduring Legacy." This groundbreaking exhibition and its accompanying publication, the first of its type, focuses on the remarkable artist and teacher, Tomimoto Kenkichi and his continuing impact on the world contemporary Japanese ceramics. For without him and his legion of pupils, Japan would not be in the preeminent position as champion of ceramics that it is today. The exhibition includes over seventy works with multiple examples by both teachers and students spanning over eighty years and the book features essays by leading scholars and insightful commentaries by artists who knew him well. While, a relative unknown in the west, in Japan, Tomimoto (1886-1963) is revered as the most significant figure in the world of twentieth-century ceramics whose impact continues through his gifted former pupils and their talented students, many of whom are now themselves professors. Together they have transformed and surpassed the classical standards for functional ceramic excellence–– devotion to the ancient Chinese traditions in tandem with an allegiance to late 16th c. Momoyama tea wares––offering a new, contemporary, and highly influential sensibility to the world of clay. "To create ceramic form and surface was to clothe a universal human body with singular, individualist garments. Works by Tomimoto and ceramists influenced by his teachings have not rigidly copied the past, but reflect the complex and fluid modern present."